Winston Flowers Charity In Bloom - Year Two! For the second year in a row, Minds Matter Boston is proud to partner with Winston Flowers to celebrate the holiday season and support the mission of our organization! 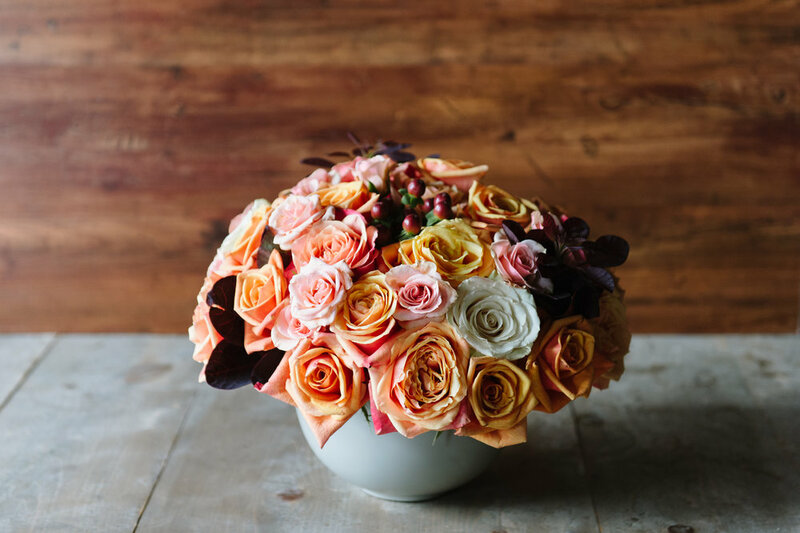 Through Winston Flowers' Charity in Bloom initiative, 20% of the purchase-price from November's seasonal bouquet will be donated to Minds Matter Boston. These funds will help our program continue to equip highly-motivated students from low-income communities with the resources needed to gain admission to, enroll in, and graduate from four-year colleges. Please consider supporting Minds Matter through the purchase of this beautiful bouquet! This custom-designed arrangement is available anywhere in the United States. Save the date! The Minds Matter Boston Annual Spring Soiree is back on Thursday, June 15th. Join us at Coppersmith for an evening to remember while supporting Boston's most-promising high school students. This February, Minds Matter Boston is proud to partner with Bliss Spa Boston to "spa for a cause" and support the mission of our organization! Starting today, 15% of the purchase-price from spa services booked at Bliss Spa Boston during the month of February (Monday - Friday) will be donated to Minds Matter Boston! Please consider supporting us by booking your next appointment at Bliss and mentioning Minds Matter at check-out. On Wednesday, November 9th, 100 Women in Hedge Funds hosted their 15th annual New York Gala and raised $1.2M for Minds Matter! We are honored to have been selected as this year's New York Gala beneficiary and appreciate the opportunity to share the organization's mission with this great group of women. "100WHF and its members consistently promote mentoring and education as pathways to success both in business and other endeavors, which is why we have focused our U.S. philanthropic efforts this year on Minds Matter. We are proud that the funds raised in 2016 by 100WHF members will help this special organization expand its reach and connect with even more students, preparing them to be successful in college and beyond," said Sonia Gardner, 100WHF's Global Board Chair and President, Managing Partner and Co-Founder Avenue Capital Group. For the month of November, Minds Matter Boston is proud to partner with Winston Flowers to celebrate the holiday season and support the mission of our organization! Please consider supporting Minds Matter Boston through the purchase of this beautiful bouquet.